There are several types of charging systems that you can use to charge your marine or RV batteries. But first, you have to be able to understand how the varying chargers work so that you will know how to make the most of them. 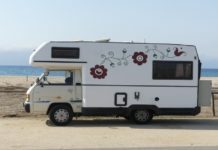 In this article, i will share with you information that you can use to expand your knowledge on how to charge RV battery. As you may already know, when it comes to charging, there is a single-stage and a multi-stage process. From my experience, there are no two chargers with a multi-stage process that are alike in their charging algorithm. Another thing is the charger’s ability to be programmed for each of the charging systems. This differs a lot from charger to charger. Moreover, the chargers are the same with engine alternators, inverters, and converters in that they are provided with power consistently by a power source. This allows these units to be operated at the maximum ratings any time. There are some such as Solar Charge Controllers as well as wind chargers where the energy source is not always there. You can charge your battery with generator. You can charge RV battery from vehicle as well. In my experience with my RV batteries, i have used a lot of systems to charge them up. There are times when we use the solar charging system, engine alternator, inverter, charger, or converter. You can even charge RV batteries in parallel. I have learned so much about these charging systems and how i can work with them so i can get the most for my RV battery. We can start by imagining the discharged batteries as people who are very hungry. If you have an empty stomach, you can imagine eating as many as you can as fast as you can. However, by eating too many too soon, you will end up getting sick. But if you stick to eating at a regular pace, you will be full before you know it and you’re good. In a way, we can think of batteries as similar to the scenario above. Their food is the current or the amps. If you feed your batteries too much too soon, they will end up damaged. With discharged batteries, they are able to take in a lot of current when you first charge them. But as the batteries become more charged in the process, they will be accepting lesser and lesser current. With fully-charged batteries, it has about 12.7v. With a battery that has been fully discharged, there is still actually sufficient life in it so that it can be charged fully again at about 11.6v. For marine house and RV batteries, they will last for many years if you see to it that you keep them above 12.1v. Batteries are charged in such as way that they are an external device that charges it by temporarily forcing the battery to reach a high voltage compared to when it is fully charged with a voltage of 12.7v. To charge a battery fast, get a charger with a higher voltage than that of your battery. When the charger can deliver a lot of current, then the voltage of the battery will also rise. In the process of charging, your battery’s voltage will reach the 12v range. After that, it will still move higher. This process may take some time. This is especially true for the batteries that have been deeply discharged compared to ones that are only minimally discharged. When you turn off the charger, of course, there won’t be any current that will go to the battery. Your battery’s voltage will eventually go back to its internal voltage. With this process, it may take about fifteen minutes or more. If your battery has been charged for quite a while, its voltage will be nearing or at 12.7v which is the battery’s fully charged value. However, if your battery has not been charged for a sufficient time, then the internal voltage value will be lower than 12.7v. An example here is that when your battery has been discharged partially to 12.4v, to be able to get it back to 12.7v, you would need for your charging system to give it a sufficient amount of current that can force it temporarily to go up to 13 up to 15 volts. Again, you have to remember that the charger will be needing to have a higher voltage than what the battery’s voltage is. I also provide our readers for the best RV battery charger reviews​. After some time, when you have turned off your charging system, the battery will eventually settle to its internal voltage, dropping to 12.7v. When this happens, you can be sure that your battery has been charged fully. But if it gets lower than that such as 12.5v, then you will know that it needs some more charging so that it will be charged fully. Batteries are made up of battery acid called electrolyte and thin plates made of metal. With the voltage of the battery going higher, the chemical reaction inside the battery makes the battery acid heat up as well. If your battery’s voltage goes too high for too long, the acid will begin to release steam from the hot water and other gases. The electrolyte boils eventually. When you allow a 12v battery to rise up to 14v or more for several hours, then it will start to release gases. If you reduce the voltage to around 13v, it will stop the gassing. There are other trickle chargers that do not let the voltage of batteries to go higher than 13v so as to avoid the release of gases. But the lesser the voltage of the battery is raised, then there will also be lesser current that will go into the battery. Therefore, the battery will be charged less as well. Don’t worry though because you can still get a fully-charged battery with a low voltage. However, it will take a longer time for the battery to reach a full charge status. Many battery experts say that most of the dead batteries go flat because they have been undercharged for far too many times. (Check out the best RV house battery). As for overcharging, it is not a very common problem. When your battery has been undercharged too often, they begin to have lead sulfate crystals on the battery’s lead plates. When this happens, the capacity of the battery is also reduced. The crystals can ever have a bridge formation from one plate to the next. This creates an internal short, making your battery useless. As for wet cell or flooded batteries, when you raise the voltage up to 15v or for several hours, the electrolyte heats up and begins to gas, and then it boils. It will also remove the sulfate material from its metal plates. The sulfate material will then settle underneath the plates. It’s alright because it won’t be forming any bridges between the plates anymore. This is the process of Equalizing. Equalizing can only be possible with a wet cell or flooded batteries. With AGM and Gel batteries, they are sealed and therefore, won’t be able to release gases. So, if this happens, the batteries will be damaged if you charge them at a voltage that is too high. From experience, there isn’t really a very definitive time that you will know that your battery is charged fully. Just imagine that it is the same feeling you get when you finish a meal. You know you are full, but you also know you still have some room for dessert. Batteries are the same. Even when they are fully charged essentially, they can still take some amps from the charger. Now you know the ways to charge your camper batteries and the processes that go with it. Hopefully, you can use these pieces of information to resolve your charging problem. 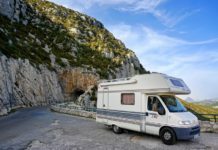 What do you think about the processes of charging your RV battery? It’s not as complicated once you know how it works. Try to take note of the voltage values and their relevance so that you will know if the voltage value is too high. Remember that if it is too high, the battery will begin to release gas. The process of equalization is only good for the flooded or wet cell batteries. But for AGM or Gel batteries, this is bad because they are sealed. So, when they get to a high voltage for too long, they will be damaged, and you don’t want that. So take proper caution when you are charging your batteries. Remember the important points i have shared with you so that you won’t accidentally damage your batteries. The longevity of your battery highly depends on how you take care of it.